Stable to both heat and acids and highly soluble, Sustamine® is a dipeptide - two amino acids (L-alanine and L-glutamine) bonded by a peptide that can function as a source of glutamine in the body, supporting both protein synthesis and minimizing muscle breakdown. 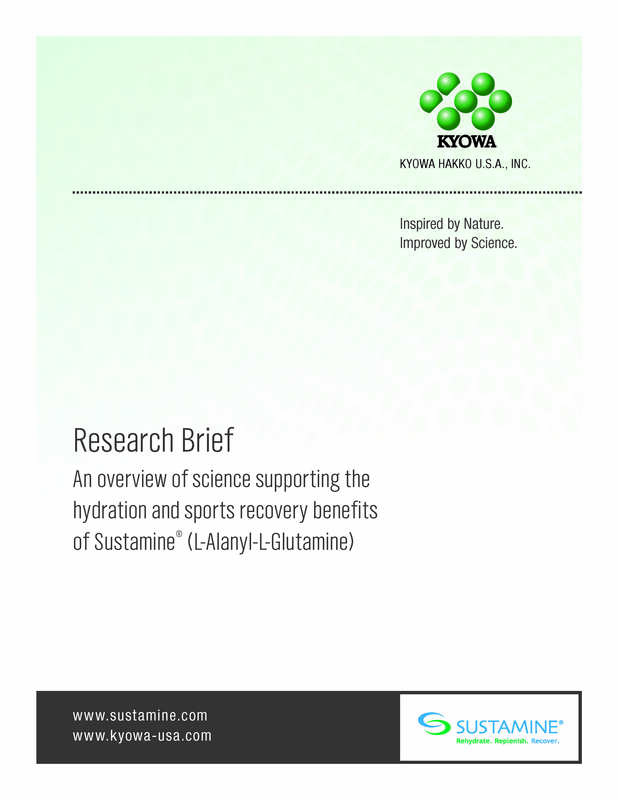 Used in clinical nutrition, Sustamine®'s dipeptide properties serve as a source of glutamine without the problems of poor stability in liquids and low solubility that are normally associated with free glutamine. Learn more about how Sustamine® functions and why it offers unique value to your performance focused formulations. Download the white paper now.